Nelson directs the Brand Management Program at Simon. 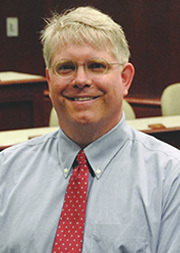 Nelson previously taught at the Krannert Graduate School of Management at Purdue University. He has been inducted into Beta Gamma Sigma, Omicron Delta Epsilon, Pi Mu Epsilon and Phi Beta Kappa. Professor Nelson’s teaching and research interests are concentrated on the multi-attribute model of consumer behavior, brand management, product posi­tioning and pricing, outsourcing and the Internet. Multiattribute Models of Consumer Behavior, Product Positioning and Pricing, Internet Marketing, Interface of Marketing and Information Systems, Salesforce Management, Productivity Measurement. Internet Banking: Gold Mine Money Pit?